Let’s navigate the EBT equipment world together. This market has volunteers operate their info booth and EBT machine each week. This article addresses the free SNAP EBT Equipment Program and discusses additional options for ineligible markets. All markets that accept SNAP/EBT must possess a machine that processes the EBT transaction. The USDA-funded (free) SNAP EBT Equipment Program has reopened (more info here). This is a program that provides free EBT equipment to farmers’ markets and direct farmers. There are eligibility requirements and other aspects to consider before pursuing this option. Not eligible? You have OPTIONS! If your market is no longer eligible for the grant, but your market has a big enough SNAP customer-base that you definitely need an EBT machine, then click this link to explore other options. Here’s a chart MFFM created comparing EBT equipment providers. If your market doesn’t have many shoppers using SNAP/EBT right now, there are alternatives to processing EBT besides getting an expensive machine. Consider getting a (free) landline machine, or mailing in your EBT transactions. We recommend keeping your technology appropriate to your market’s size. If you have 0-3 SNAP transactions each week, you may want to forego the free EBT equipment grant until you build up a larger market of shoppers that use SNAP/EBT. Not sure if you’re ready to operate a SNAP program? Try a SNAP Pilot program. 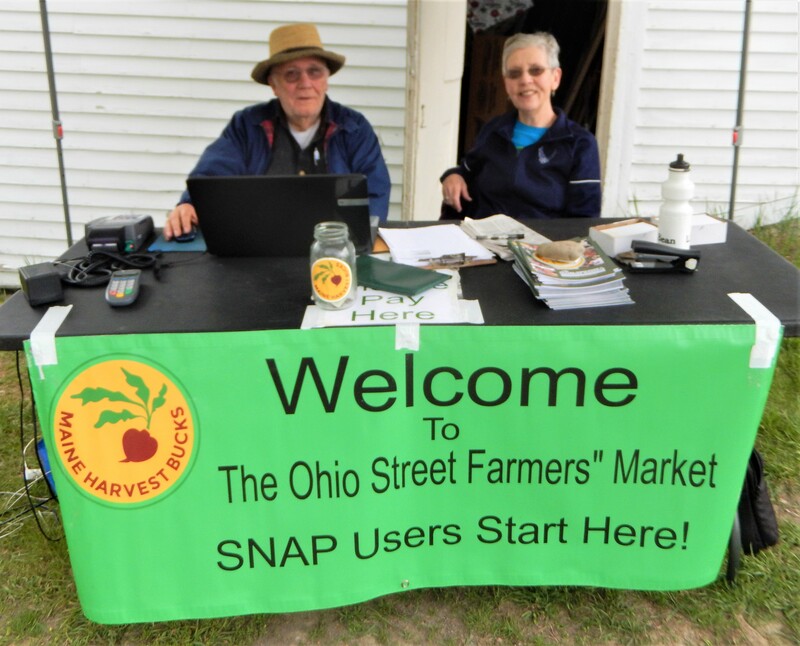 If you’re not sure that your market can attract SNAP/EBT shoppers, then why not take it slow? You can run a program for people enrolled in SNAP/EBT without signing up to accept SNAP/EBT. When people come to your market with their EBT card, you can provide them with market coupons that can only be spent at your market. This will involve fundraising ($100-$500) and some advanced planning. Stay tuned for more resources on this front. In the meantime contact MFFM to learn more.